The Ty Morgans Group has the perfect venues for your party or event in Rhayader or Builth Wells. 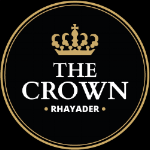 Our converted old stable in The Crown provides the perfect, private location for a party or event in the heart of Rhayader. The function room holds around 30 people seated, or 50 standing for a more informal occasion. The room is separate to the rest of the pub, but is easily accessible via a covered walkway. Not only that, but it provides excellent access to our beer garden. The function room is a perfect location for birthdays, retirement parties, christening buffets and work functions. The Lamb, in Builth Wells, provides a great location for an event or party. It has everything you need including free wifi, for your perfect function. If you would like to hold a business / charity meeting with us, we have no charge as long as food and drinks are purchased from us. our bar area seating 35 is also available to hire as a whole and will be closed to the public for a small fee. We will work with you to offer your choice of food including hot and cold buffets, or a choice of meal off or menu all the way up to a full three course (or more) meal with full waitress service. Come celebrate our sausage and cider festival at The Crown on bank holiday sunday ! Why not come join us at The Lamb for a great range of different sausages and great selection of specialized ciders ! The Crowns chefs have been busy creating a brand new menu with the perfect combination of traditional and modern meals which makes it ideal for the whole family. Our new main menu is accompanied by a brand new children's and pudding menu. We highly recommend that you reserve a table as we can get very busy on the weekends. The Crown are holding an annual beer festival this summer, the perfect for day out for anyone who enjoys beer, music and great company ! !